We have been offering locksmith services to customers throughout Hackney and the surrounding areas for many years. Serving both commercial and domestic customers, London Locks has you covered for all your locksmith requirements. Whether it be key cutting, lock repairs or something else we’ll ensure a professional and efficient service is provided. Whenever we undertake any type of emergency locksmith service in Hackney, we aim to attend within 20-30 minutes. We regularly work with individuals, businesses, landlords and housing associations throughout Hackney. With years of experience in the industry, we have honed and developed all the skills needed to provide professional locksmith services. When it comes to needing an emergency locksmith in Hackney, be sure to get in touch with London Locks. We have over 14 years of experience providing emergency locksmith services to domestic and commercial customers. For more information on our locksmith services or to arrange a locksmith to carry out any of the services we offer, please don’t hesitate to get in touch with London Locks. Whatever your lock problem we have the solution, we provide services to a number of lock problems across Hackney. Whether it’s for your home or premises, we can be on hand to assist. Should you require emergency assistance, we have this covered. When it comes to resolving a lock issue, at London Locks we have you covered, our emergency locksmith London services cover Hackey and the surrounding areas. Make sure you choose our professional team, we’ll ensure that your property is safe and secure again. When it comes to needing an emergency locksmith in Hackney, be sure to make London Locks your first port of call. Whether you’ve lost your keys and your trapped outside at night or if your locks broke, then you can count on our team of locksmiths to help. 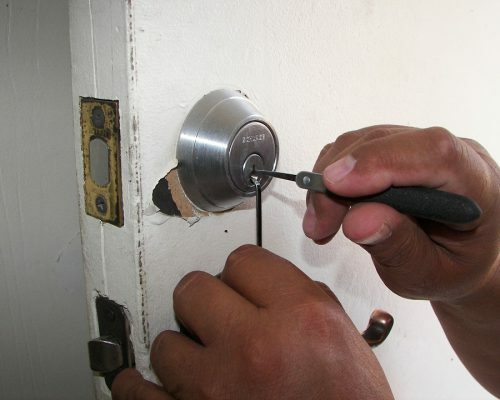 We offer a fast and friendly emergency locksmith service which we pride ourselves on. Having worked throughout Hackeny for many years, we have developed a well-known and respected reputation for the emergency locksmith services we provide. As a locksmith there are a number of key things we always advise our customers throughout Hackney to do or not to do, to help keep their property safe. We always advise double checking all windows and doors are locked before leaving, if you get five minutes don’t the road and can’t remember locking the doors, then make sure you turn around to check. Is it really worth your property being broken in to, all because you didn’t check? Another tip is to replace the locks for your property when you’ve just moved in, this will mean that only you will have access and not any previous owners or tenants. One of the biggest mistakes people is giving their spare keys out, if you need a spare key leaving somewhere then only ever leave it with a close family member, or alternatively at London Locks, we offer a keyholding service where we can keep your spare keys safe for you; giving you access to them when it’s required. Are you in need of a 24 hour emergency locksmith, look no further, you’ve come to the right place. When you choose London Locks, trust that you’re in the right hands. 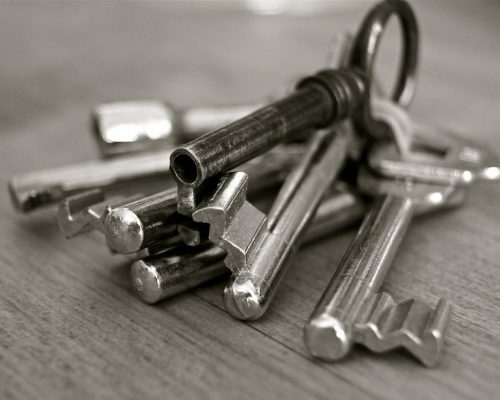 Our service is expert and our experienced locksmiths will make sure that you’re in safe hands. We understand the stress and inconvenience that can be caused by being locked out, so don’t worry, our professional locksmiths will get to you as soon as possible. We aim to provide our customers with exceptional quality solutions which deliver affordable quality fast. If you’re looking for a local 24hr locksmith, you’re already in the right place. Simply call our team and we’ll be there as soon as possible. Our prices are competitive and our response times are great, even if it’s not an emergency, we’ll get to you on the same day for no extra costs. Our dedicated team of locksmiths work tirelessly across Hackney and can always be on hand to assist with any locksmith issues you may have. You can always rely on our locksmiths in Hackey to get you back up and running again. We understand that lockouts can be annoying, especially if you have somewhere to be, there’s no need to worry though, our team can be on hand to help. Whatever the lock problem, we have the solution, we provide our services across Hackey and London, ensuring that all of our customers’ properties are left safe and secure. Whether it’s emergency access you require or new lock installations, we can help. We guarantee that the service you receive from our professional locksmiths in Hackney is second to none, so let us take the hassle out of all of your residential and commercial lock problems. Simply call your reliable Hackney Locksmith today. Should you require any information, simply call our team today, we also offer FREE quotes, should you need one. Why Choose Us For Locksmith Services in Hackney? Should you have a lock problem, it’s important that you know that you’re in good hands, London Locks have you covered. Our fully trained locksmiths work across the London area, including Hackney, providing locksmith services. At London Locks we’re dedicated to making it as easy as possible when it comes to getting a locksmith to your house in an emergency. With a wealth of experience, we’re the best people for the job. If you’re based in or around the Hackney area and are in need of a locksmith, the be sure to make London Locks your first port of call. We offer a great range of emergency locksmith services to both domestic and commercial customers. From key cutting to emergency call outs, you can count on London Locks. When it comes to needing a locksmith in Hackney, be sure to get in touch with London Locks. How soon can a locksmith get to us? Here at London Locks, we aim to attend all locksmith call outs in the Hackney area within 20-30 minutes. How do I arrange a locksmith in Hackney? If you’re based in Hackney or any of the surrounding areas and are in need of a locksmith, then all you need to do is get in touch with London Locks by phone or email. One of our team are always on hand to deal with enquiries and answer any questions you might have. How much does it cost to callout a locksmith? The cost of using a locksmith depends on a number of factors such as the service you require and when you need one. If you’re based in or around the Hackney area and are in need of a reliable locksmith, then be sure to get in touch with London Locks. One of our team will ensure you receive fair and competitively priced quote for the locksmith service you require. Can you open / repair / fix locks? We can open most locks non-destructively, and aim to repair rather than replace locks, to keep the cost down. How long will it take the locksmith to complete? Times can vary depending on the job. For example a mortice lock change (on average) would take around 45 minutes, but a Yale lock could be repaired or replaced within 20 minutes. We have years of experience in the industry and have been providing locksmith services to customers throughout Hackney and the surrounding areas for many years. With a team of fully trained and experienced locksmiths, we have all the skills and knowledge needed to ensure professional, reliable and efficient services are provided. When it comes to needing a locksmith in Hackney, be sure to make London Locks your first port of call.